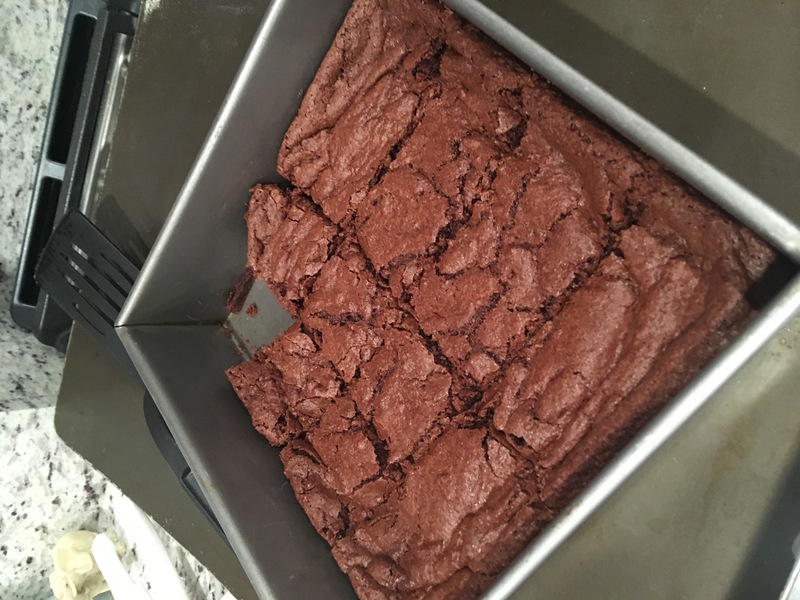 It was late, i needed to have a dessert for girls night the next night, what should i do… Came across a brownie recipe in my stash and decided to give it a try. Can you say thank you very much for my double oven purchase? Definitely basic brownie – my options to improve it – stick with the 20 minutes, sprinkle with salt if desired. Preheat oven to 350 F. Lightly spray a 2 – 8×8-in. baking dish with cooking spray. In a mixing bowl, combine the flour, sugar, cocoa, baking powder, and salt. In another bowl, combine the oil, eggs and vanilla. Add the wet ingredients to the dry ingredients. Mix just until combined – Do NOT overmix. Add chocolate chips if desired. Spread into the prepared baking dish. Sprinkle with chocolate chips if desired. Bake for 20-25 minutes or until a toothpick inserted near the center tests clean. Verdict: definitely a basic brownie and it fulfills the need – definitely will make the updates next time.